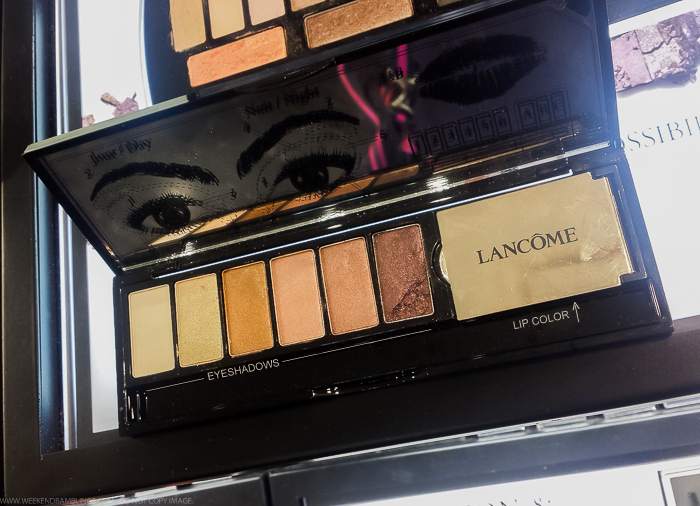 A dual-ended eyeshadow and lip brush is included in the palette - not shown in pic. 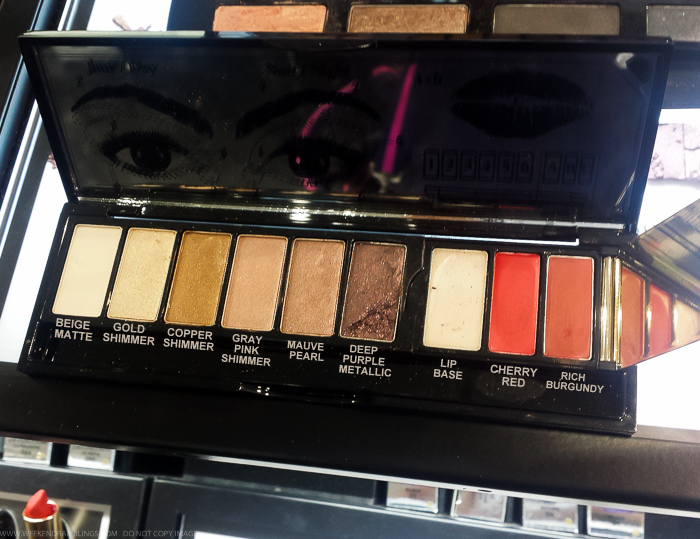 The eyeshadows in the palette are soft, pigmented, and the colors are just the sort that I love to use. Warm golds, coppers and browns lend themselves to a lot of easy-to-wear combinations, and these shadows should be great to use for a lot of occasions even after the holiday-party season is over. 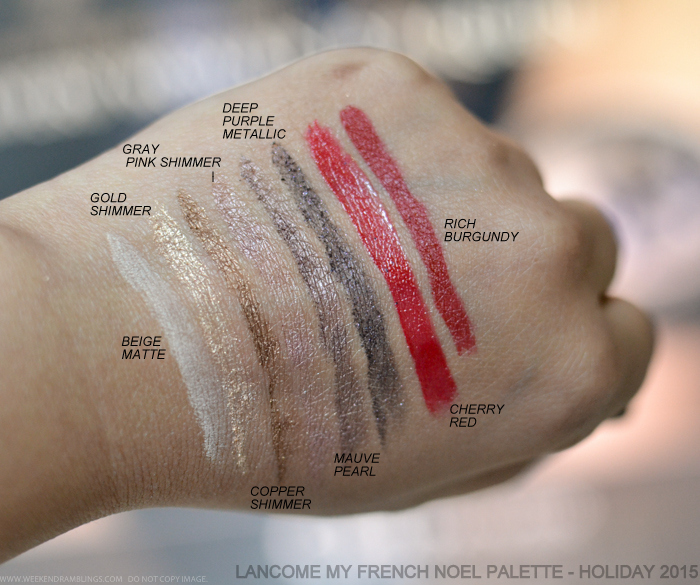 Lancome describes the darker colors as plummy, but they are more of a plummy brown, so do keep that in mind in case you are looking for a deep puple-plum shade - this might not be it. That said, such plummy browns are great for brown eyes, and the plum tones do show up quite well on my skin tone, so these are perfect for me. The lipsticks are lovely rich reds - must-haves every fall/winter - and coupled with the hydrating lip base, they should make for creamy, long-lasting lip colors. The compact packaging also makes it easy to carry around for touch-ups on the go. 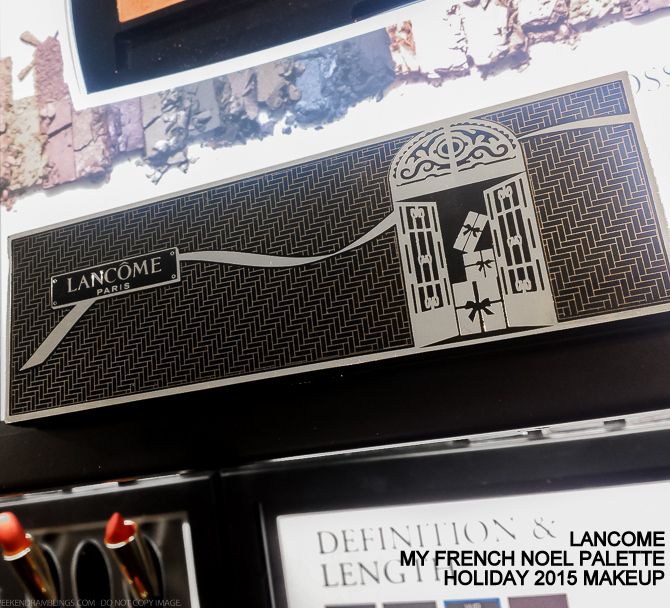 Lancome's My French Noel Makeup Palette definitely seems like a good buy, especially with the Sephora sale coming up. Perfect gifts for the holidays too.